When you first start freelance writing, you will be hyper-focused on finding paying gigs that allow you to write about your passions and showcase your amazing talents. A common mistake when looking for writing jobs is expecting to find these great paying assignments and awesome clients right away on outsourcing sites like oDesk, Elance or Freelancer. This mistaken belief can prove to be costly — especially when it leads to new freelance writers throwing in the towel. Outsourcing sites, if not approached correctly, can leave you feeling like it’s the morning after a one night stand: confused, embarrassed and looking for a quick escape! There is nothing wrong with using outsourcing sites to get jobs — it’s how I got started as a freelance writer myself, and it’s still where 90 percent of my clients first find my services. However, my first experiences on oDesk included some costly mistakes; one in particular cost me $1,000! As a bright-eyed and bushy-tailed new freelance writer, you need to know and understand the lay of the outsourcing land. Here’s how to avoid six common mistakes when working on outsourcing sites. It’s easy to make this mistake, particularly when you’re just starting out and not sure what to charge. If you’re just breaking into the freelance writing scene, it’s a good strategy to start with a low rate — but only for the first month. After that, you’ll want to increase your rate, because you’ve developed your skills during that month, right? Figure out what you feel is a good hourly rate to start, and go from there. I aimed to make the same amount I was earning in my full-time day job, which was $35/hour. Don’t sell yourself short, or you could find yourself stuck with clients who are underpaying you for what you’re providing. I found it extremely challenging to increase my rates on existing clients, but when a client knows your rate from the start, they’ll value your work. Is the client payment verified? On oDesk, look in the right sidebar under “About the Client.” You’ll see “Payment Method Verified” in green text. On Elance, you’ll see four small circles next to the client’s name. If they’re verified, you’ll see $ in the first circle, and the more green circles you see, the more projects a client has filled on the site. Does the client have positive feedback? On Elance, clicking on “Client Info” takes you to a profile page with the client’s projects, including feedback from previous contractors. On oDesk, you’ll see a star rating under “About the Client” on each job page. Does the client include company information? Have they shared a description of their company, location and work? Can you find them in a Google search? Ensuring these three criteria are met makes it more likely that you’re choosing a legitimate client and protects you from falling for a scam. Learning this lesson the hard way cost me $1,000 in unpaid work. Communication is key in any relationship — and even more so in a business relationship where you may never meet your clients. Make sure you understand each project fully before commencing. It’s crucial to ask as many questions as you can up front so that you understand exactly what the client is looking for. If you don’t ask these questions initially, you run the risk of delivering something completely different from the client’s needs. You might also find that the client doesn’t know exactly what they want — which can be a red flag — and you need to know that before you start working. As a new freelancer, it’s important to build your client base. This is where outsourcing sites are great: you can use them as a place to find leads and convert one-time projects into an ongoing relationship with a client. This one strategy has helped me build my client base by 80%, because once clients know that I do great work, they’re willing to hire me for additional projects. Many of my current clients originally found me on oDesk and now work with me outside of the site. Especially when you’re just starting out, you don’t want to rely on one or two clients for all your income. You need to diversify to protect yourself in case that work dries up. Early in my freelance career, I fell into a false sense of security with one client who was providing me with 90% of my earnings. When that work suddenly fell through, I was left trying to figure out how I was going to make ends meet! You may even want to take it one step further and also diversify your skill set so you have multiple income streams. Could you focus on an additional niche or writing style? If you need inspiration, browse the list of jobs offered on your favorite outsourcing site to find opportunities that may be a good fit. 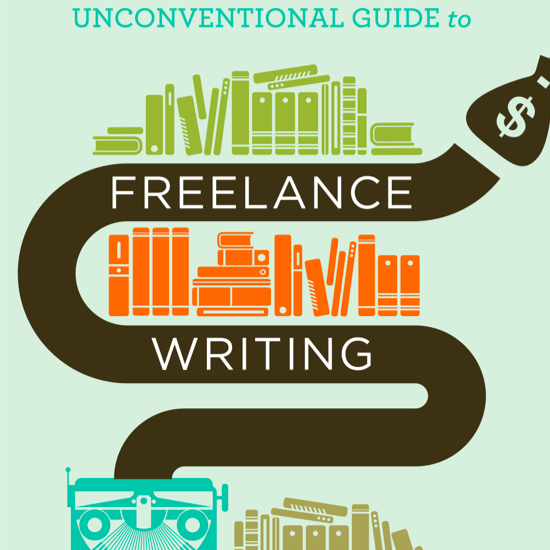 When you’re new to the freelance writing game, you tend to say yes to everything. Even if it’s work that you don’t particularly like, you accept the project just because you can do it and it’s available. Don’t do this. No matter how much you’re being paid, you will quickly lose motivation and run the risk of damaging your ratings and client feedback. Only take on work that makes sense to your business and that you actually enjoy doing. There are so many projects available on outsourcing sites; you’re sure to find more than enough that engage, interest and challenge you. Find a balance: sometimes you may have to do projects that aren’t your favorite, but make sure most of your work fits with your interests and business. What mistakes have you made on outsourcing sites? I used to make mistake number 4 and not provide follow-up ideas. Oh, I would ask for referrals sure. However, once you have a handle on the kind of content a client needs, you can offer them article pitches they probably had not even considered until now (making you invaluable to their business). Lol, I did this a lot too when I got on there, and it was also because I was a bit scared to provide or offer other ideas. But once you get over that (just do it!) it becomes much easier to identify what they might need! Perfect timing. I just finished my profile and have been looking at the job listing. This is great advise and, like I said, perfect timing. I’m looking forward to my beginning as a freelance! Thanks! Thanks Wendi. I’m glad it will be helpful to you. Good luck as you get started, and just watch out for clients not payment verified, they are more common than you might think! Very true…what continues to amaze me is that clients continue to base their buying on the cheapest bidder in most cases (People Per Hour especially). I have learnt the hard way in business that buying cheap services usually backfires. The old say “pay peanuts and you’ll get monkeys” is true! Agreed Nick, but I think clients are also starting to realise that the saying “you get what you pay for” rings loud and clear, particularly when it comes to hiring writers! There are plenty of clients on oDesk who will pay you what you’re worth! Lise’s advice on oDesk helped me totally reframe my approach, leading to much higher paying clients and a lot more work! Thanks, Lise! You’re more than welcome Liz! Loved this article. I am new to freelance writing and I have tried using Odesk and Freelance for jobs and I am not getting the job. I am not bidding to high or too low. I don’t know what else to do. There are alot of competitors also. I am going to revise my profile and see if that helps. Any other suggestions? Thanks for your input. Thanks Debbie, I’m glad you liked it 🙂 There is a bit of a game to be played when it comes to sites like oDesk and Elance, and that is the game of how many stars you have, ie, your rating. On oDesk for example, you get stars for completing your profile, clients leaving feedback AND completing oDesk tests. First off, I’d recommend completing at least 10 oDesk tests (they are free) in the skills you want to be found for. Then I’d make sure that your profile was set up right, making sure that the top 5 skills you want to be found for (the work you want to do) are listed in that order and that those same skills (keywords) are also in your Profile Overview area. From there, it’s all about applying for every and any job, particularly when you are new to either of these sites – because it is all about the ratings. If you can take on a few small, low paying clients initially, then it’s much easier to find clients and increase your rate and the best part is, if you’re getting good feedback from clients, oDesk will actually promote you to prospective clients – this is something I love. I very rarely apply for jobs now, I get invited more often than not to roles. I hope that helps Debbie, contact me via my website (click on my name) if you need anything else! Thank you so much for taking the time to comment. Your feedback is very helpful and I am going to start taking the tests today. I did realize that I would have to start with lower pay until I could build a client base or until I accumulated rankings (which is hard to do when you can’t get a project). However, I didn’t know that Odesk would promote you to prospective clients….thanks for that info. I appreciate the advice you have given me.This is a great website for beginners and advanced writers. I am so thankful that I found your website. You have given me hope when I thought I had none left. Happy to answer more about oDesk, once you get those ratings, it becomes a lot easier to land the work you want to do! Thank you for the article. I just published my first novel and I thought I might hone my writing with some elance jobs. I appreciate the tips before I start so I don’t spin my tires by unknowingly taking poor jobs. I am concerned however that there might a disconnect between the freelance jobs I would take and my published writing as it is genre fiction. Is any writing experience good experience? Should I highlight my novel? Congrats on the novel! I would love to write a fiction book one day – but I feel that I need a lot of time to dedicate to it! In terms of setting up your profile on Elance or oDesk, I would definitely recommend including your novel in your portfolio but then break down the skills you have from writing a novel into ways that would make sense to a prospective client. For example, you obviously know how to research, how to write long form, and how to create a plot. I’d also recommend linking to your blog posts to form part of your portfolio, because you obviously know how to write those as well. Basically, you want to showcase as much of your skill base as possible. If you’re concerned that you might not get freelance jobs because you have written a fiction piece, simply write some non-fiction articles and either post them on your blog or upload them to your portfolio on Elance or oDesk. You could also submit them to article directories like Ezine Articles, so that you have them published as well. Use what you have to your advantage always! Unfortunately, it all comes down to finding the right clients and the right gigs, there are plenty of clients who will pay low for what is perceived (by them) as being ‘easy’ work – that’s why, in my book, I talk about different ways you can find the good paying clients, like searching by dollar amounts. What I mean by this is using the search box in Elance or oDesk and typing in “$500” or whatever amount it is to find the clients that are paying higher amounts – then you search until you find work that you can do. It also comes in how you position yourself in your proposal and also what you put in your profile – you have to think outside the square and be different, just like in any normal business. What is your unique point of difference? What can a client expect when working with you? These should be outlined in your profile. Good luck Vinod, keep at it and you’ll find better clients if you provide quality work and diversify your income base – Elance or oDesk shouldn’t be the only places you look for work. have you tried uvocorp and such types of writing? I have worked with uvocorp and they pay an average of $6 for 275 words which is slightly more than $2 for 100 words. Hi Hetarl, no I haven’t tried uvocorp – but $6 for 275 words is very low in any case. If you’ve got good writing skills, you should be aiming for higher paying jobs so that you can increase your portfolio – if you do too many lower paying jobs, you can get ‘stuck’ there. I must say I am really disillusioned with these comments. Uvocorp is a well known Paper Mill. I thought this blog was going to be about earning money ETHICALLY, not about helping students cheat and plagiarise. Thanks for sharing your concerns; we agree, and do not support essay-writing sites. Hope you’re able to enjoy the post itself, though! I am new to freelance as well, and am currently registered with ODesk, Elance, and IWriter but have yet to get all my ducks in a row and actually “get jobs.” Is something like Pay Pal suitable for multiple freelance contractors? If one feels more comfortable writing the undergrad research paper, or short articles, (500 words) are these good places to find work? If research paper, would one be more the editor or actual ghost writer of such a document? -As for job hunting, sounds like it is more up to the freelancer to weed out the scam from the honest-to-goodness client. I echo about everyone’s sentiments here, with much thanks! 1. Paypal is definitely a good option to receive your funds into as well as using to issue invoices, as the case may be. 4. Yes, you do need to be actively making sure that the clients you are looking to work for are above board. Using sites like oDesk and Elance provide you with a level of protection though, as long as the client is always payment verified. I hope that helps, please let me know if I can answer any further questions! Thank you so much for taking the time to address my comments to your April post which is not outdated for some of us! I am “very happy” to report I have an “opportunity” to write an article under 1000 words for a EZine that caters to a specific readership on the issue of loss. Essentially, it is a chance for my first gig! I want to subscribe to your blog or hope one day to find a mentor of sorts with whom to be on the surface accountable to in this line of work. -I use adaptive software on the computer and it does not always work with things like G-Docs, ODesk or Elance somewhat based on those web site setups. Something more “basic” works, like the above described opportunity. Nonetheless, thanks for letting me share! “Ghost writing” undergrad research papers contravenes the rules of all reputable universities and colleges. Anything more than copy-editing constitutes assisting the student to commit plagiarism (and if it’s a “composition” essay even that may be shady). If anyone hires you to “ghost write” an academic paper then that client is definitely not “above board”. I’m having trouble getting work at Elance. All my bids are pending. Could there be something I’m missing? Kindly assist. Have you completed your profile and confirmed all your details? Also, do you meet the requirements that the client is asking for – sometimes a client lists a job and it has specific requirements, like you must be from a specific region etc. Check your profile is complete and that you haven’t missed an email from Elance asking you to confirm your details. Great article! I definitely agree that Elance and ODesk etc can be a great help for a new freelancer – I found enough work there to get started full-time. Personally though, I have found that the best paying clients are often “unverified”. They are new to Elance etc and are used to hiring people offline with higher rates. You can send them quality proposals with sky high rates and they often accept! Also, make sure that your payment is secured. I had a couple of dodgey clients that didn’t fund the project before I sent them the draft and then never paid! It was only one article for about $50, but still would’ve been better if I hadn’t made that mistake! i’m beginner on elance, i’m facing problem to get project. i’m not get single projects till now. this post was very helpful to me. i know my mistakes. I am just a beginner on elance i have not done any projects.I would like to specify my projects based on literature work. Any advice.